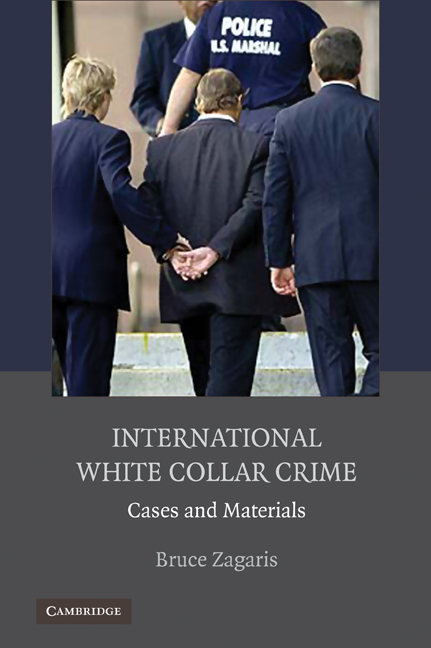 Bruce Zagaris is the author of International White Collar Crime: Cases and Materials (2010). He practices criminal trial and appellate work as a partner with the law firm of Berliner, Corcoran & Rowe, Washington, DC, where he has handled evidence gathering and extradition cases on both the interstate and international levels. A leading expert on international criminal cases involving money laundering and tax crimes, his private practice has also included monitoring tax and enforcement developments in the U.S. and the Caribbean for foreign governments and corporate clients, and he has consulted extensively for external governments and international organizations. Zagaris has edited the International Law Enforcement Reporter since 1985.